On our way from Orvieto to Montepulciano we took a diversion and drove high up into the mountains to the ancient Abbey San Salvatore in the town of the same name high in the mountains of the Val di Orcia, Tuscany. The abbey is small and not particularly impressive from the exterior unless you keep in mind that it is dating from the eighth century. Once you enter the interior, your first impression is of incense. A mass for two people has just finished. 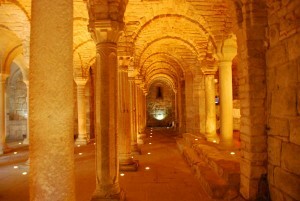 To the right and the left are stairs descending down into the oldest part of the church, the crypt, with rows of columns, all different at the top. 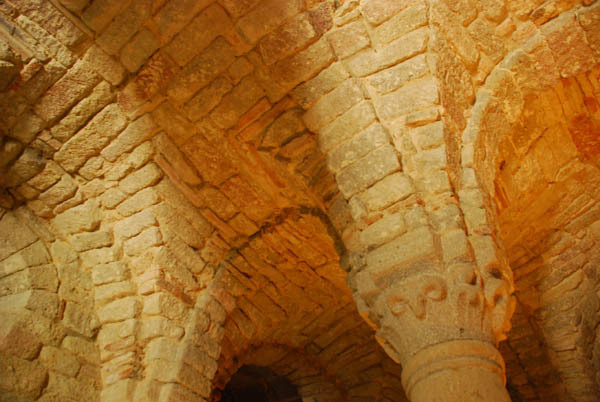 You remind yourself that the stones forming the arches of this crypt have done their job for more than 1,200 years. 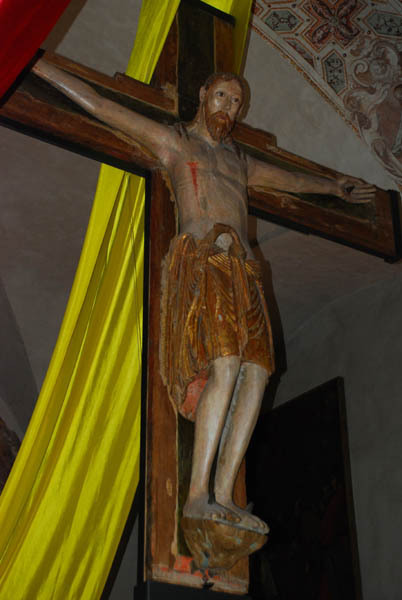 Above, a wooden crucifix looks as it it were carved yesterday. It wasn’t. It was carved in the 12th century. 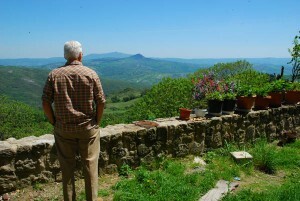 In Italy, it is easy to become complacent about age. Fifteenth century this, twelfth century that. Something from the 19th or 20th century hardly registers. But eighth century. That’s memorable. 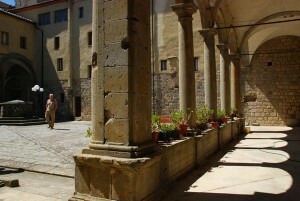 Posted in Italy Tours, New Discoveries and tagged abbey, salvatore, san, tuscany.